Hi, I am Varun Sood and I am an SEO Expert based out of Chandigarh. There are so many people who claim that they are an SEO Expert in Chandigarh. Well, I am not one of those who would put another top claim on whether I am the best SEO Expert in Chandigarh or not. That is something which I believe is for my clients to decide. Being an experienced software developer and a digital marketing professional, I only trust numbers and nothing else. If the numbers are in favour of my client, I am a good SEO Expert. If they are not, then, you know the rest. Chandigarh is a commercial city. The business and the lifestyle of the city is truly envious, to say the least. It has always been a developed city and with the current .com boom, Chandigarh also has its fair share of entrepreneurs and established companies that are doing some really neat work. Apart from the IT Companies, there are thousands of freelancers like me. Therefore, we can easily say that Chandigarh is all set to rock the national and international business scene. Why Hire an SEO Expert in Chandigarh? Chandigarh needs an SEO expert more than any other place in the region. The business is booming and your clients and customers need to know that your business exists. They need to know that you can be trusted, and, above all, they need to know what you can do for them. Internet penetration is at an all-time high in the country. Gone are the days when people would ask for real-life references to judge your business reputation and credibility. People are not going for the ads that you might publish in other traditional media channels. Now they rely solely on a search engine like Google to know your whereabouts and what people are talking about you. This makes having a concrete digital space visibility a must. That’s where the SEO Experts like me come into picture. I can provide you with that much needed digital space visibility, which would take your business to the next level. 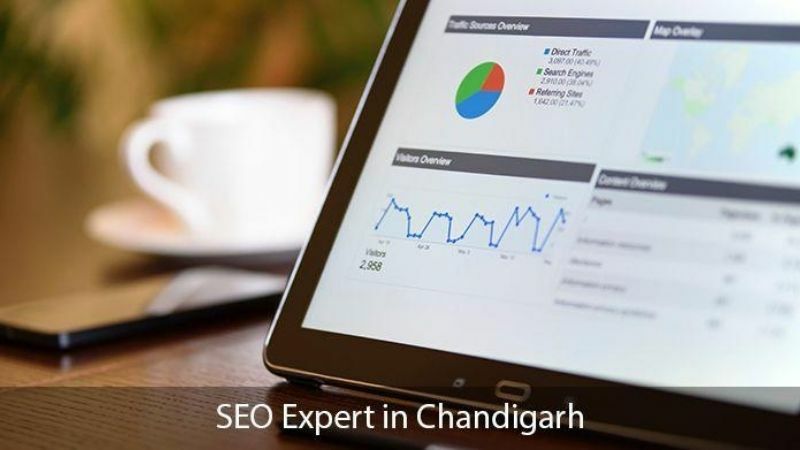 How Can an SEO Expert Help a Business in Chandigarh? Being an experienced website developer, I also provide the best on-page/technical SEO to my clients. That, combined with off-page efforts, really boosts the ranks of my clients’ websites. There are many people who claim to be the best SEO expert in Chandigarh and would openly promote that they can provide you rank #1 on Google. Well, that’s just a hyperbole or a blatant lie and nothing else. Even the best SEO expert in Chandigarh cannot guarantee the top slot. SEO is a gradual process. It takes time and a lot of hard work to show its results. If you are looking for some best SEO services in Chandigarh, give me a call on +91-9816570704. Understand the entire SEO procedure and then go ahead with assigning the project. Talk soon!